OAK 311 has received this issue. Your service request ID is #838384. Thank you, in advance, for your patience as we work through a backlog of pothole service requests. Unfortunately the City does not have enough funding to repave all streets in poor condition. With limited funding, our response to resurfacing requests is limited to minor pavement and pothole repairs only. Our Street Maintenance Department will assess your street and determine whether temporary measures might be appropriate. Please understand that this work may be limited to pothole or other minor repairs, and that we have many similar requests. We will do our best to respond in a timely manner. The backlog of streets in Oakland needing pavement currently is $435 million and growing. Pothole is fairly deep, on a steep and narrow street. OAK 311 has received this issue. Your service request ID is #882631. Thank you, in advance, for your patience as we work through a backlog of pothole service requests. Unfortunately the City does not have enough funding to repave all streets in poor condition. With limited funding, our response to resurfacing requests is limited to minor pavement and pothole repairs only. Our Street Maintenance Department will assess your street and determine whether temporary measures might be appropriate. Please understand that this work may be limited to pothole or other minor repairs, and that we have many similar requests. We will do our best to respond in a timely manner. The backlog of streets in Oakland needing pavement currently is $435 million and growing. There is loose ashpalt and dirt around the largest pothole, and there are additional potholes next to it with missing asphalt. It is continuing to erode and grow, and is on a high traffic street. Please fix ASAP! How about a Stop sign at this location? Thank you for your request. According to our system, we already have an open service request of this kind at this location. Your request has been combined with service request #882569. If you would like to check the status of the request, please contact OAK 311 at 510-615-5566 or OAK311@oaklandnet.com. This issue can also be followed by watching http://seeclickfix.com/issues/5470524. These Pride of Oakland roses are dying because of too much water leakage. They cannot be replaced. PLEASE arrange for cascade to be repaired. and don't close this request without action. Thank you. OAK 311 has received this issue. Your service request ID is #896252. Please check back for status updates, or contact us directly at 510-615-5566. Silver Subaru Outback. Passenger window is open, black bike rack on rear of car. Extra license plates inside on floor. OAK 311 has received this issue. Your service request ID is #887769. Please check back for status updates, or contact us directly at 510-615-5566. The City of Oakland addressed this issue on 04/16/2019, service request #887769. OAK 311 has received this issue. Your service request ID is #896193. Please check back for status updates, or contact us directly at 510-615-5566. 4-door Buick sedan, dark purple, Nevada license plate (853 LHL), continuously parked/abandoned at corner of Valle Vista Ave. and Santa Clara Ave. for over 2 weeks. Please monitor this street (Valle Vista Ave.) regularly, as people often leave their vehicles for weeks at a time on this street. OAK 311 has received this issue. Your service request ID is #887593. Please check back for status updates, or contact us directly at 510-615-5566. The City of Oakland addressed this issue on 04/16/2019, service request #887593. OAK 311 has received this issue. Your service request ID is #894774. Please check back for status updates, or contact us directly at 510-615-5566. This is a waste of time to complain about. The City of Oakland addressed this issue on 04/16/2019, service request #894774. Ms. K - clearly you dont know anyone in a wheelchair. This is absolutely something to complain about. Handicapped people should not be required to go in the street because someone is a selfish driver. OAK 311 has received this issue. Your service request ID is #894474. Please check back for status updates, or contact us directly at 510-615-5566. 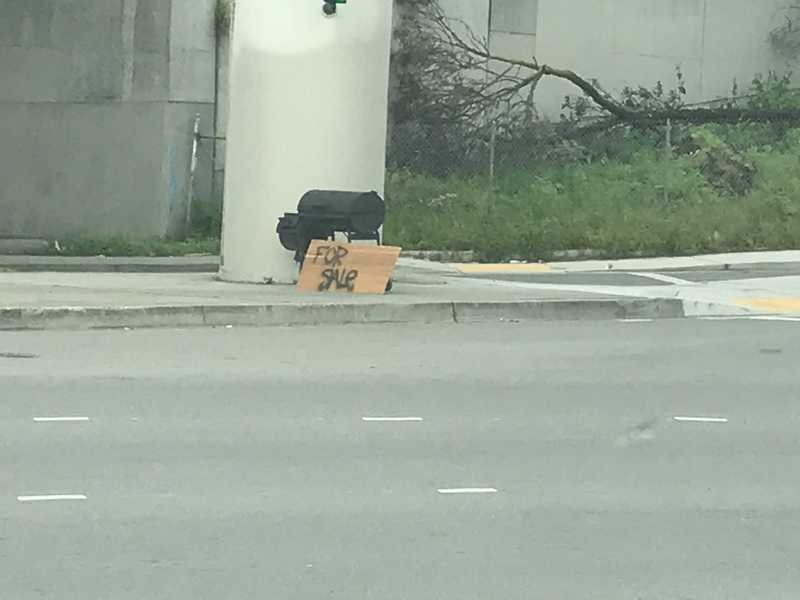 I did see the person who dumped this, he is from the illegal encampment @ MacArthur/Harrison. He just added a "For Sale" sign to it. He also just added a very large screen TV to the other median. 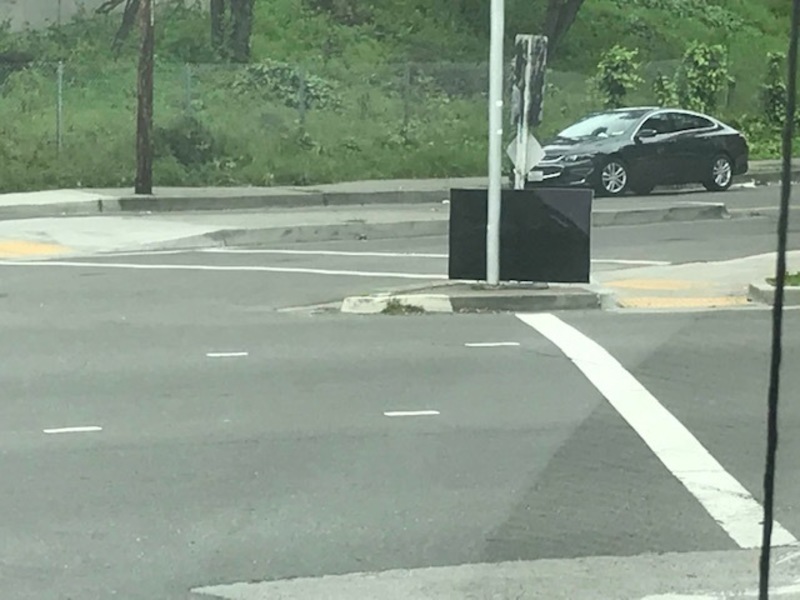 The TV is blocking access to the ramp/crosswalk. Here is the large TV. Ah yes, that tv, which was laying face down as I walked to the bus stop this morning. They should be able to shut them down for illegal business ventures. OAK 311 has received this issue. Your service request ID is #895657. Please check back for status updates, or contact us directly at 510-615-5566. The people have been there for years but the amount of junk piled up around them has definitely increased lately. @ Courtney and Nicole. Thank you both. Yes, the encampment(s) are proliferating. Please also send email w/your concerns to below city officials. Councilmember Dan Kalb advised residents at recent Piedmont Avenue Neighborhood Improvement Leage (PANIL) meeting that emails/calls to him/city officials absolutely help to prompt attention/action. 2 back windows broken. Plate # 8FMW013 car has been sitting overnight in the rain. OAK 311 has received this issue. Your service request ID is #884985. Please check back for status updates, or contact us directly at 510-615-5566. The City of Oakland addressed this issue on 04/15/2019, service request #884985.